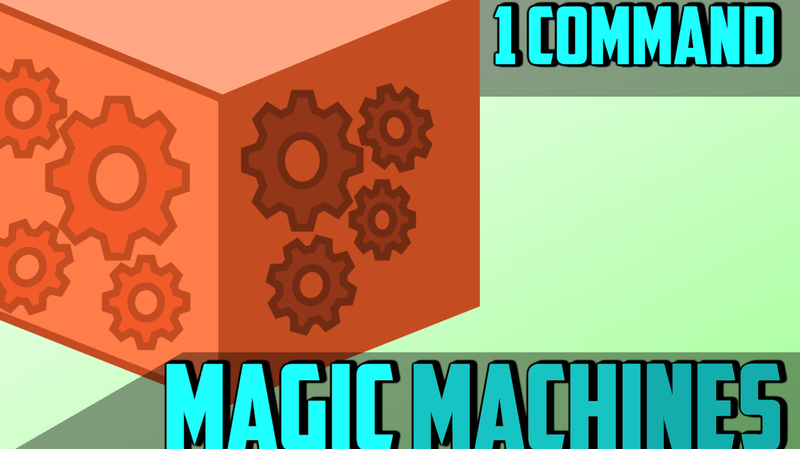 This is a Vanilla 1.11 Minecraft Command Block module which adds 9 new blocks to the game! It also constantly updated. Check back for updates! After crafting a machine, drop it on the ground to place it. Break the BOTTOM of a machine to break it. Most machines are 1x2x1 blocks large. Most machines require a powered Tempite Storage Container within 10 blocks of it to run (read about it below). Most machines can be moved by observers. Place an observer directly on top of the machine, and the direction the observer is facing is the direction the machine will move WHEN ACTIVATED. Note that regular machines cannot move up or down. Most machines need to be activated with redstone. The TOP of the machine must be powered for this to work. If a machine has "tmpu" in the lore, it means it is powered with both Tempite and Redstone, and will use that amount of Tempite per USE. TTB comes with two new ores. Vulcaanium, and amethyst. You can find them in any biome! Amethyst is used to craft certain machines, but most importantly, amethyst can be placed into a Tempite Container to power nearby machines. Vulcaanium is used to craft some items such as the Eckspei Rod, however, it's mostly used to ascend machines into something more powerful. Amethyst is found on layer 40. ​Vulcaanium is found on layer 30. ​Both ores are very rare! This machine is needed to power all the machines in this pack. Without it, your machines won't work! Put an amethyst into the bottom half of this machine to feed it Tempite. One amethyst = 1000 Tempite. When activated, machines within 10 blocks of it will be powered with the exception of Quarries which can be powered from very high up, or very low down. This machine can be triggered with redstone and consumes 50 Tempite Per Use, 100 Tempite Per Use if it's Ascended. When triggered, it will destroy the gold or iron ore below it and extract 1-9 ingots. Ascended Metal Alchemists will yeild more ingots. Set up some hoppers or water streams below it to collect the ingots! This machine can be triggered with redstone and consumes 1 Tempite Per Use, 2 Tempite Per Use if it's ascended. When triggered, it will simply break the block below it. Ascended Block Breakers will break a 3x3x3 area below it. This machine can be triggered with redstone and consumes 1 Tempite Per Use, 2 Tempite Per Use if it's ascended. When triggered, it will break down the block breaker. Keep in mind that you get higher output for Ascended Macerators. This machine can be triggered with redstone and consumes 1 Tempite Per Use, 2 Tempite Per Use if it's ascended. When triggered, it has a chance to find an item in the sand. Please keep in mind that red sand has a higher output rate, and ascended sand sifters will give a higher chance of finding these items! This machine can be triggered with redstone and consumes 3 Tempite Per Use, 10 Tempite Per Use if it's ascended. When triggered, it emits a cloud of poison. This will bring all nearby mobs nearby down to 1HP if they are not undead. Ascended Poison Emitters will emit wither clouds which kill mobs, and also affect the undead. This machine can be triggered with redstone and consumes 3 Tempite Per Use. This machine cannot be ascended (coming soon though). NOTE: That blueish powder you see in the crafting recipe is mysterious dust, which can be obtained by sifting sand, or macerating soul sand. This machine can be triggered with redstone and consumes 3 Tempite Per Use, 10 Tempite Per Use if it's ascended. It will grow or enchance the crop or block below it. Ascended Growth Auras will affect a 3x1x3 area below it. This machine can be triggered with redstone and consumes 25 Tempite Per Use, 100 Tempite Per Use if it's ascended. Such a machine can transform the block below it into something more valuable. This machine can be triggered with redstone and consumes 1 Tempite Per Use, 2 Tempite Per Use if it's ascended. When triggered, this machine will collect the nearest XP orbs nearby (depending on if it is ascended or not) and stores it. Ascended XP Collectors do this far more efficiently. You can deposit and withdraw experience using an "Eckspei Rod" seen on the side image. Hold it in your mainhand and right click to withdraw experience, hold it in your offhand and right click to deposit experience. This machine can be triggered with redstone and consumes 10 Tempite Per Use, 15 Tempite Per Use if it's ascended. When triggered, this machine move a lazer beam down one block and break a large area of land below the block it is standing on. This lazer cannot dig past bedrock. The lazer gets destroyed when the machine is removed of course. The lazer is extremely powerful so please be careful! Amethyst sunpads do not require power to run. They produce tempite gel when exposed to the sunlight. Tempite gel can be used to power the tempite storage container. Tempite Gel cannot be touched with human hands, so you need to funnel it using water, hoppers, or any other means. In addition to Tempite Gel, Amethyst Sunpads produce Tempite Sludge which behaves like a purple dye. It is otherwise useless, and will only clog up your machines. 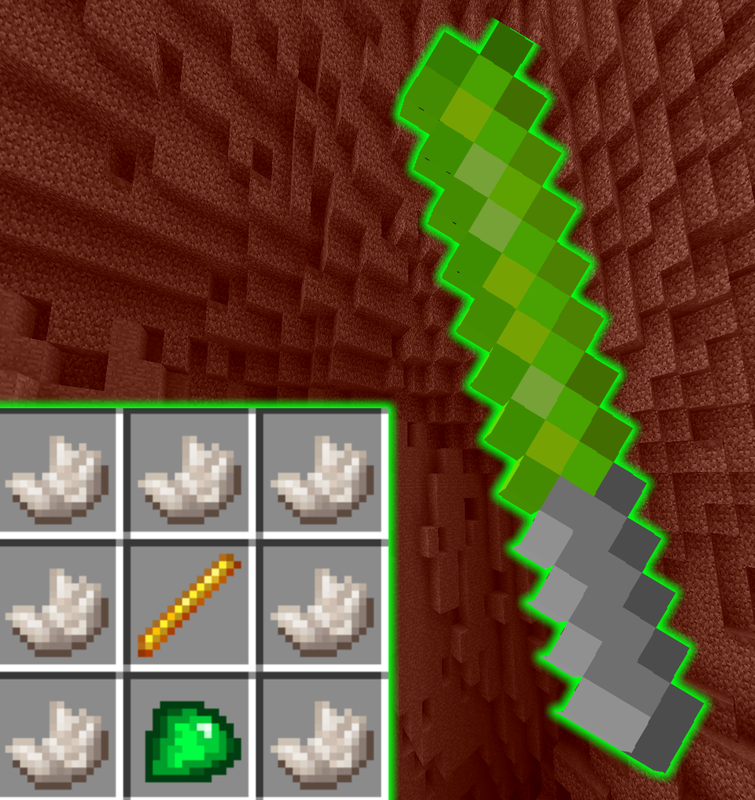 This is used to make Spirit Gems. I suggest you read about it on this page. This is one of the few machines that don't require power to run. It will shoot lazers at players, squids, and gems. But it's also essential for the production of spirit gems. I suggest you read about it on this page. This machine (the Micro Tree Farm), will not run on redstone, but it still requires a Tempite Storage container nearby. Every 30 seconds, it will harvest any sapling below it, and consume 0.3 tempite per second. 1 tempite per second if ascended. Mechanics and model by TPCBonehound. Find his channel here. This item costs 3 tempite per use, and 10 tempite per use if ascended. It will collect blocks within a 4x128x4 box, and a 8x256x8 box if ascended. It spits items everywhere though so make sure you have a good collection system! Most machines can be "Ascended" by surrounding the machine with Vulcaanium in the crafting table. "Ascended" machines behave like the regular machines, but are more powerful and more expensive. "Ascended" machines can be moved by observers - except you do not need observers directly on top of the machine. You just need them above the machines and within 64 blocks. Observers still cannot move machines up or down, but iron and quartz blocks can. Use iron to push the machine down, and use quartz to pull it up.​ "Ascended" machines have an enchanted glint so they are easily identified. This module also included the Ascended Enchantments​ module. This module is used to convert tools and armor you no longer want, or have collected, back into their raw materials. This comes automatically with the custom crafter, and is not it's own separate block. 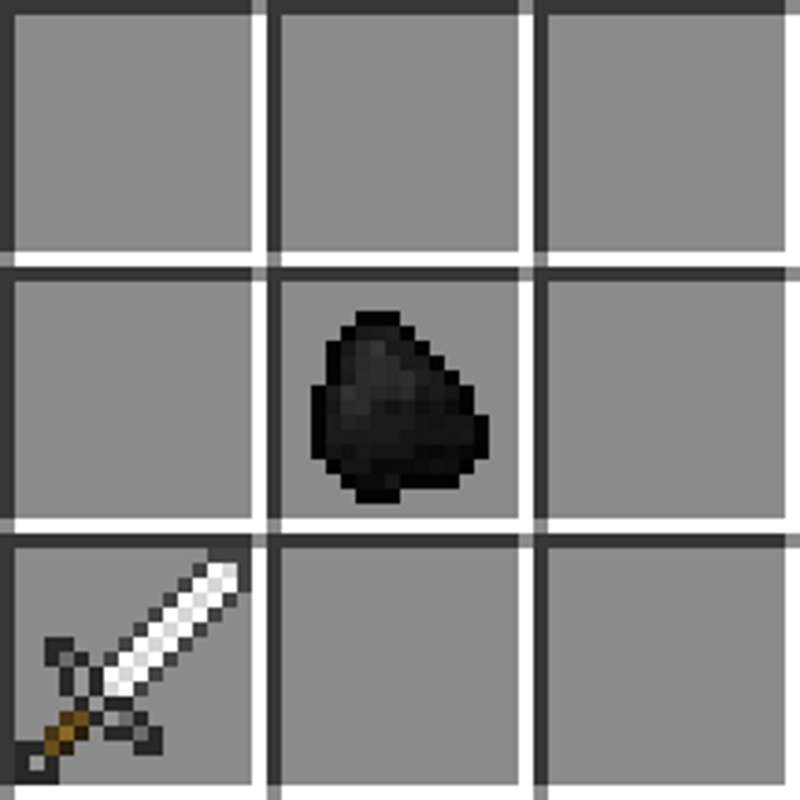 Place coal in the middle of the custom crafter, and the tool you want in any other slot. Note that the tool cannot be damaged, otherwise it will not convert. In your crafting window, you can put two damaged tools together to fully repair them. Do this for items you no longer want, or for items monsters have dropped. End Cities and Dungeons have plenty of tools and armor you may not want, so take them anyway because you can recycle them into more useful materials! More expensive items yeild more ingots. The number of ingots you get is slightly random. For example, a bucket can give 1-3 iron ingots whereas an iron chestplate can give 3-5 iron ingots. 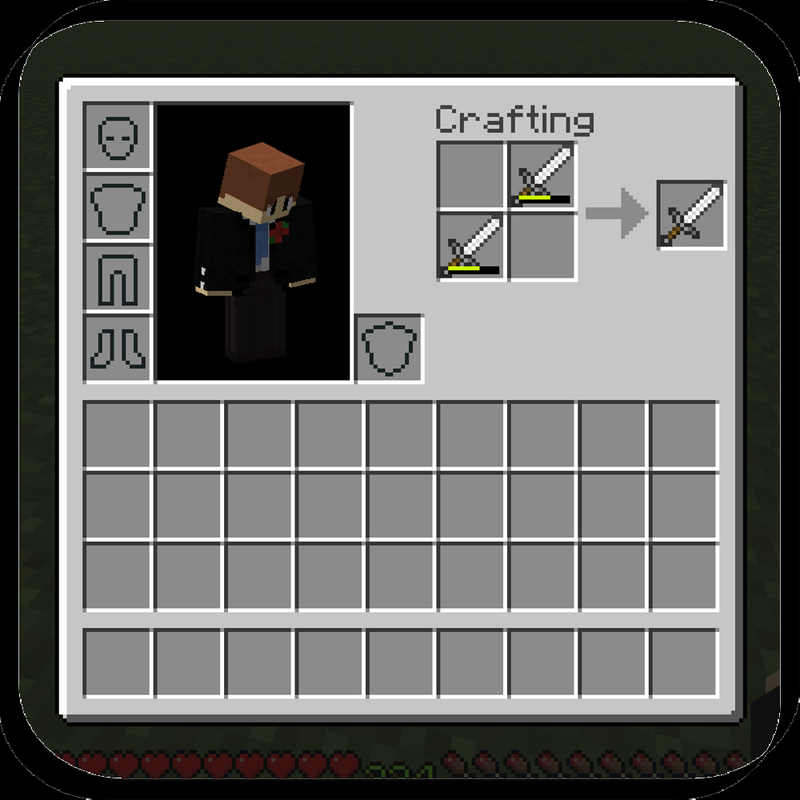 Feature Coming to Version 0.6 - Iron tools will recycle into nuggets. Thanks PokeTehDoge for the suggestion.